The Legend of Zelda: Breath of the Wild is a beautiful contradiction. It is at once the grandest adventure Nintendo has ever made, and their most minimalistic. It defies the established conventions of the Zelda series, while simultaneously celebrating the franchise’s legacy. 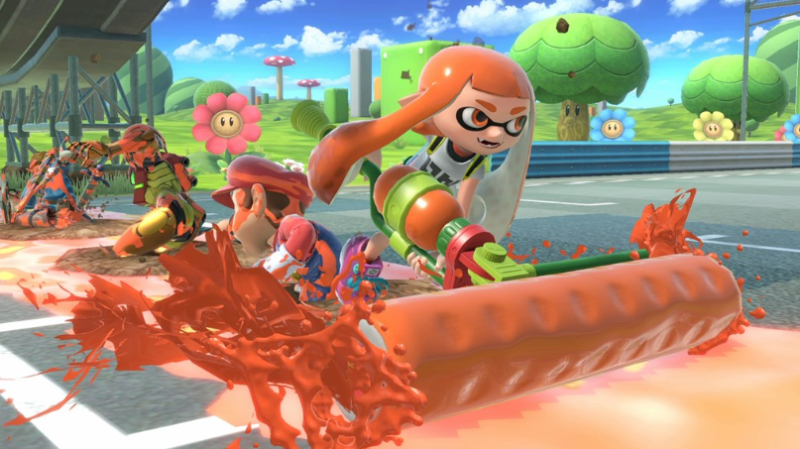 It’s Nintendo’s first foray into the open-world genre, and yet it’s the best game said genre has ever produced. In short, Breath of the Wild is nothing short of a masterpiece, and the new standard for the Zelda franchise. 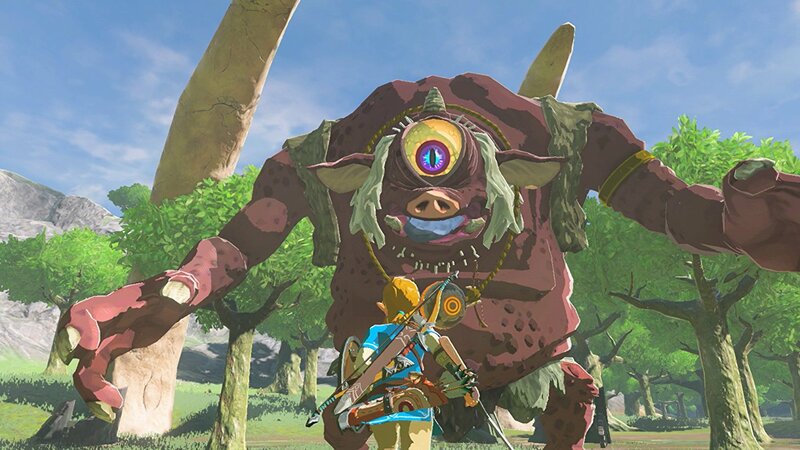 When Nintendo claimed they were making this newest Zelda title an open-world experience, it was all too easy to assume Nintendo had done something they rarely choose to do, and caved in and conformed with more contemporary gaming conventions. 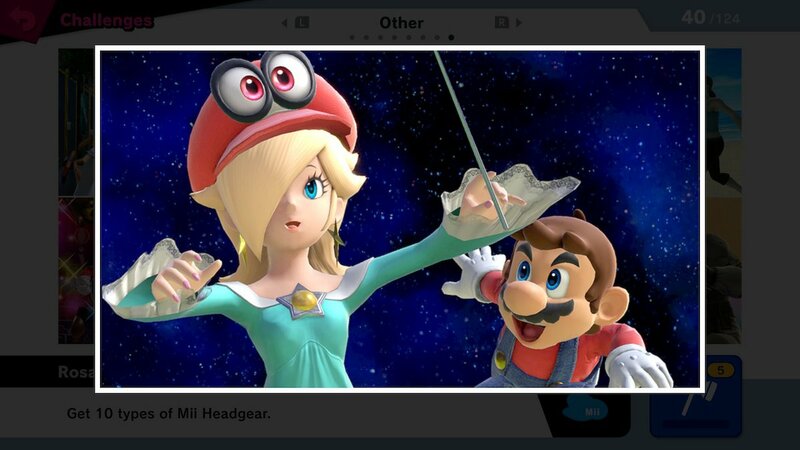 Nintendo is usually known for going by the beat of their own drum, but it seemed Nintendo had finally opted to do what everyone else was doing. Though titles such as Grand Theft Auto and Skyrim earned their place in gaming history, the open-world genre has been teetering on overexposure for years now. 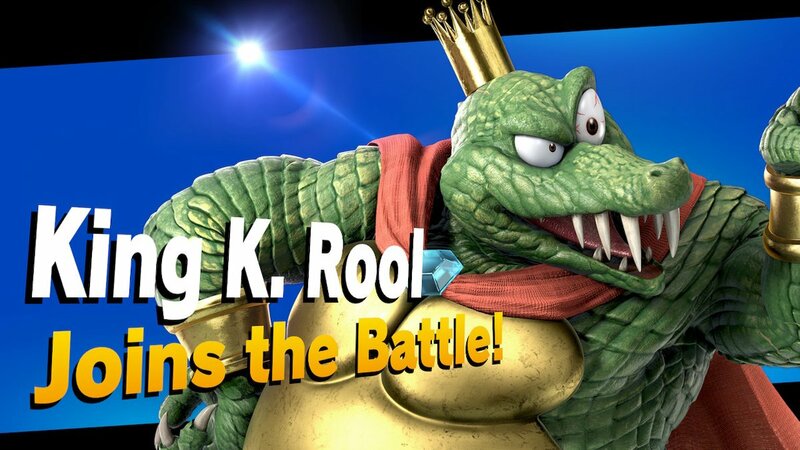 Did we really need Nintendo to throw their hat in this ring? 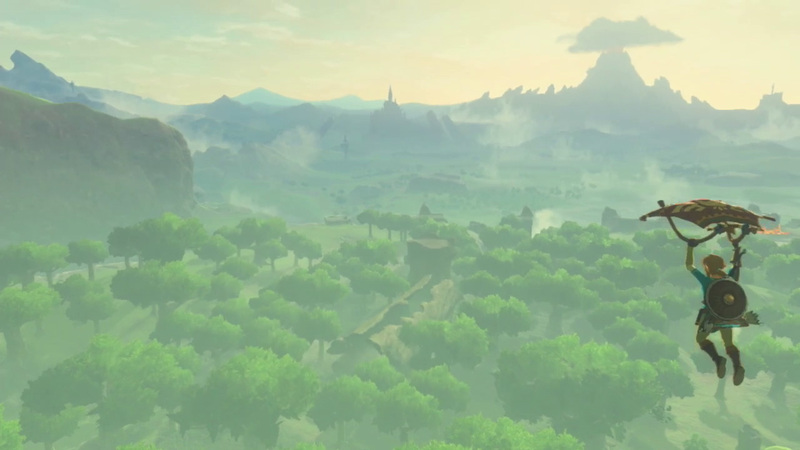 As it turns out, Nintendo was still doing their own thing in regards to Breath of the Wild, as it redefines the very definition of open-world gaming in a way that makes the genre truly live up to its name. 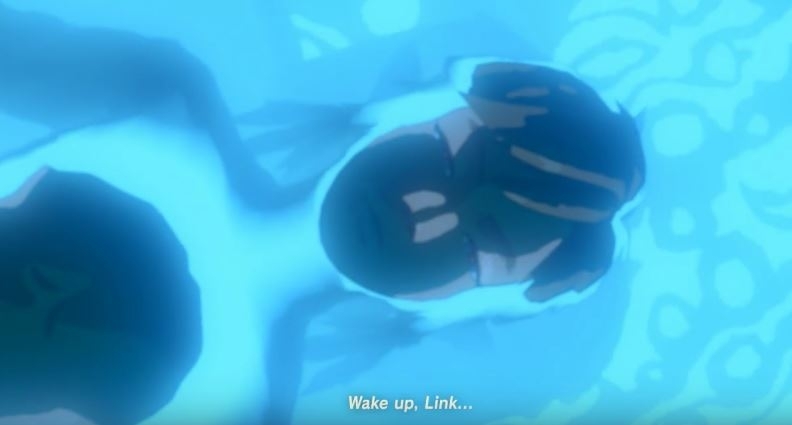 Breath of the Wild begins with Link, the series’ iconic protagonist, awaking from a hundred-year slumber. His memories of his past are wiped clean by this mysterious sleep, and he is only awakened by the distant sound of a woman’s voice. Link follows the echoing voice, which leads him out of his rejuvenating chamber, and grants him the Sheikah Slate, a mysterious tablet that becomes an invaluable tool in the upcoming adventure. Link soon learns that, during his slumber, the evil Ganon has been sealed away within Hyrule Castle by Princess Zelda, with the princess having trapped herself within the castle to hold Ganon at bay. Ganon – now more of a physical, evil presence than a man or monster – will soon break free from his century-long prison to wreak havoc on the world. Should Ganon break free, it would spell certain doom for Zelda and all of Hyrule. 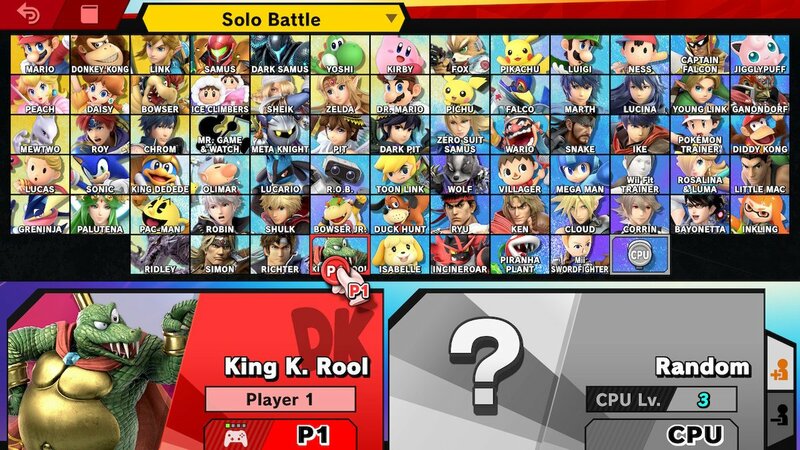 It’s a simple enough plot, but it plays to the game’s benefit because – as is the case with the gameplay itself – it employs both a grand scope and a sense of minimalism, with the details of the plot being unfolded piece by piece only if the player seeks them out. The story has a certain sense of mystery about it, and searching for the pieces of the story to rekindle Link’s memories gives it a sense of personal intrigue. 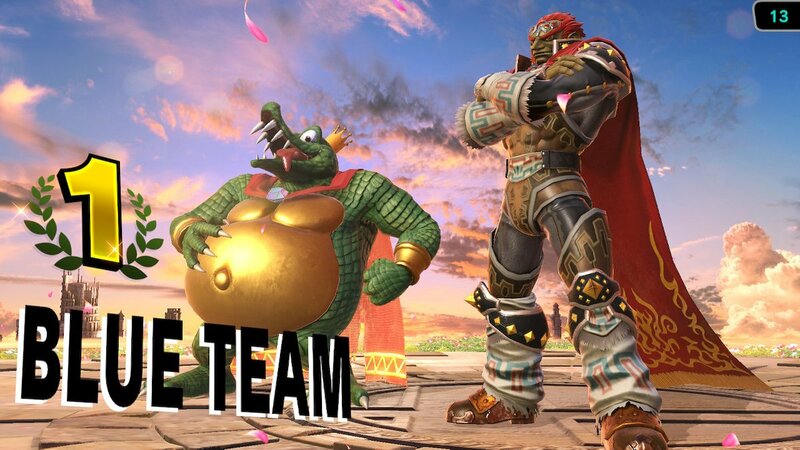 The truth is, you are able to go straight to battle Ganon as soon as Link awakes from his slumber if you choose, as ill-advised as that may be. 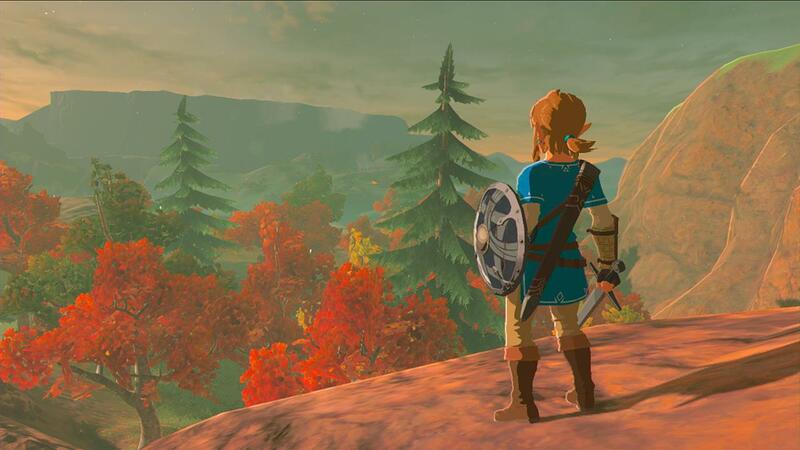 The way the adventure unfolds is left entirely to the player, making Breath of the Wild the most open-world of open-world games. The very foundations of the Zelda series have been rearranged. No longer does Link need to go from one dungeon to the next, grabbing specific items in each dungeon to solve its puzzles, and be rewarded with a Heart Container and a story item upon felling its boss. Those elements are still there – the dungeons, the items, the puzzles, the Heart Containers, and so forth – but Nintendo has completely overhauled how they all fit together. Link now relies on the myriad of weapons he finds along his journey, or picks up from defeated foes, instead of simply finding a new toy in each subsequent dungeon. Even the iconic Master Sword is an optional component of Link’s arsenal. There are no mandatory weapons, only what you can find. The weapons can break upon repeated usage, leaving the player to take to battle more strategically than ever before. But certain enemy types may favor particular weapons, and certain regions may be more keen on particular elemental items than others, leaving the player to learn the best places to acquire their favorite weapons. Similarly, the more puzzle-oriented items in Link’s inventory have found a new life, as they are simply abilities provided by the Sheikah Slate, and are all acquired within the game’s introductory segment. 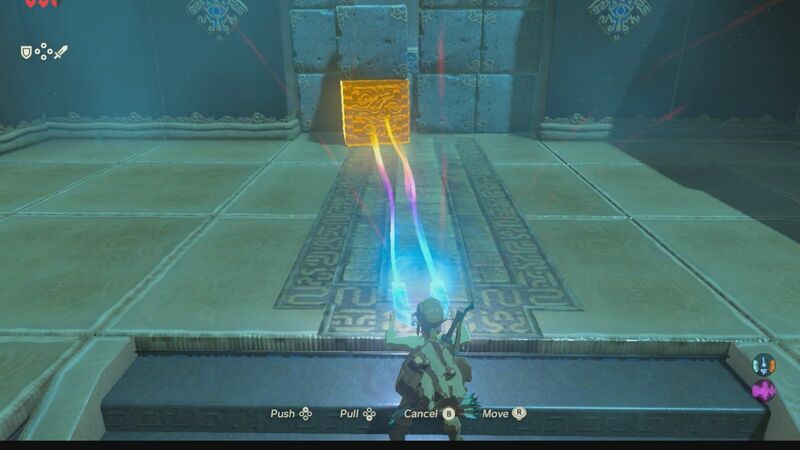 Bombs – which now come in round and cuboid shapes, leaving players to contemplate the physics involved with the item and environment – are now magically produced through the Sheikah Slate, so there’s no need to stock up on them or to be teased with the traditional bomb flowers early on. The Shiekah Slate can also produce icy platforms in bodies of water, manipulate metallic objects like a magnet, and temporarily freeze objects in time, allowing Link to strike with a bevy of hits. Later on, the Sheikah Slate even gets a camera function, allowing you to take photos of the people and creatures of Hyrule to fill up an encyclopedia. A Link Between Worlds gave players the opportunity to buy any of Link’s items from the get-go, but Breath of the Wild takes that idea a step further by turning Link’s most unique items into different abilities provided by a single starting item. 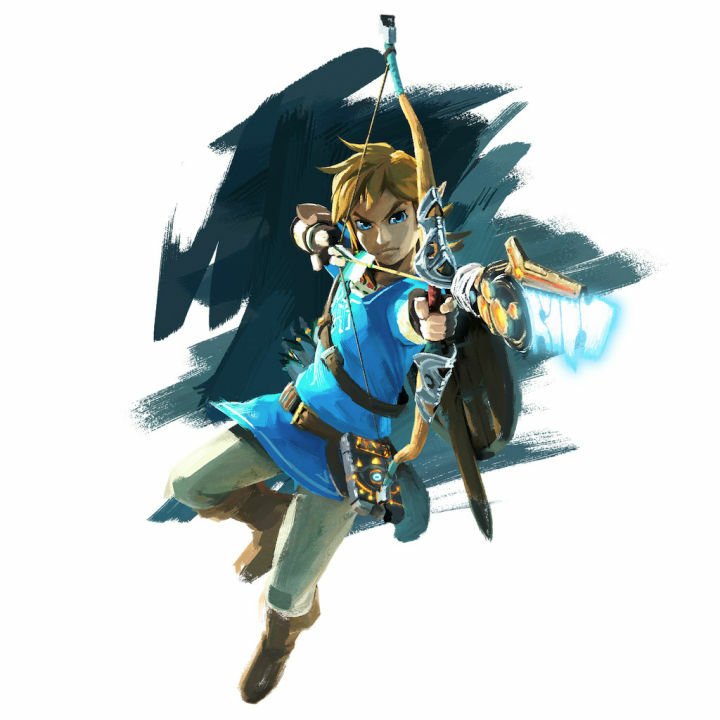 It streamlines the Zelda experience for the better, simply by condensing Link’s abilities, which are used in various ways, as opposed to many tools that have singular functions. Link can no longer find hearts hidden in grass or clay pots for health. Instead, Breath of the Wild is given a survival element, as Link has to find and craft his own means of healing within the game’s world. You can hunt animals for meat, find various plants around the world, and collect monster parts from fallen foes. Though eating some of these items as they are can restore a little health, cooking items together can create meals which can not only recover a large amount of health, but also provide temporary bonuses, such as extra hearts or stamina, stronger resistance to heat or the cold, or boosts in defense or attack, among others. This gives the Zelda series a whole new layer of depth and challenge. Now players have to take notice of the environment and its elements (you don’t want to be wearing metal armor during a thunderstorm), and will have to make stronger preparations before heading into enemy territory. When your journey first begins, Link may seem pitifully weak, with only three hearts, a small bit of stamina, and barely enough space to carry weapons and shields. This is where Breath of the Wild once again changes up the Zelda formula. Though Heart Containers are still found by conquering the story-focused dungeons, Link no longer has to search for four Heart Pieces to increase his maximum health. Instead, players can travel Hyrule seeking out Shrines. Shrines are either found lying around Hyrule, or materialize after finishing a sidequest or meeting a certain requirement. The shrines work like smaller dungeons, usually consisting of a handful of rooms, each containing their own puzzles and hidden treasures. The puzzles involved in the shrines are one of the game’s greatest highlights, as most can be tackled in different ways depending on the player’s thinking. The creativity and brevity of the shrine puzzles really bring to mind the various chambers of the Portal games, and I’d even say their consistent brilliance makes Breath of the Wild arguably the closest thing we have to Portal 3. Once the shrines are completed, Link is awarded with a Spirit Orb. 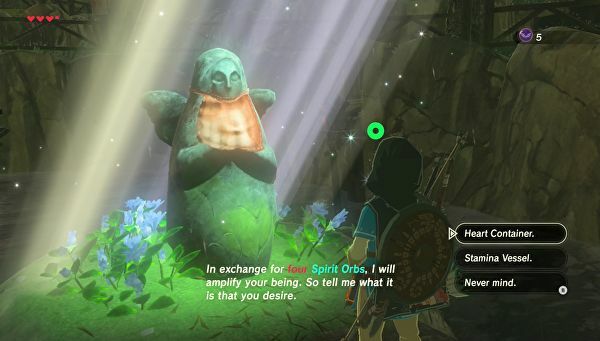 Every four Spirit Orbs Link obtains can be traded to goddess statues for greater maximum health or stamina, giving a whole new life to one of Zelda’s most recurring traditions. Stamina is used for running, climbing, swimming and gliding, thus making increasing your maximum stamina a worthwhile alternative to giving Link more health. 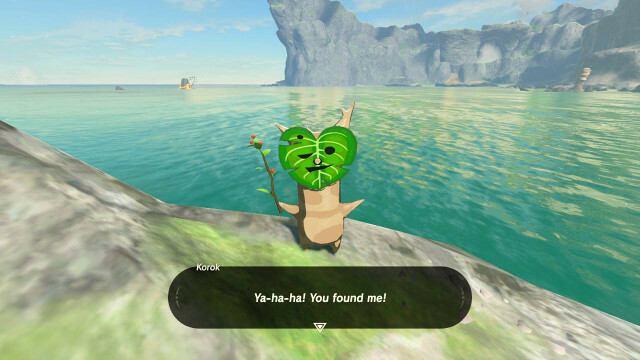 Similarly, there are Korok seeds that can be found by finding the many playful Koroks, who are hiding all over the place. Koroks may have you do something like lifting a rock at the top of a mountain or shooting flying targets from a certain standing point to make them appear. The Koroks will reward you with the seeds for finding them, and the seeds can be traded to a particularly large Korok for extra space in your inventory. Finding things like a new shrine or a Korok hiding place (among other things) help fill Hyrule with things to do. This is a great thing, because the Hyrule of Breath of the Wild is absolutely massive, but that size wouldn’t mean anything if there were no substance to it. Thankfully, Nintendo really thought about how to keep things fun and exciting at every turn, so no matter what pace you choose to tackle the adventure, there’s always something to be accomplished, and a strong sense of discovery to be had. Speaking of the size of the game’s world, it would have been easy for the simple act of traveling around it to become a chore in less capable hands. Thankfully, Breath of the Wild’s developers have streamlined the ways Link can get around Hyrule, meaning that traveling never becomes tedious. Link can climb virtually any surface in Hyrule, and a paraglider gained early in the adventure means you can climb one mountain and glide to the next, if you so desire. The only surfaces Link can’t climb are found in the aforementioned shrines. Otherwise, player’s can find many clever ways for Link to get from one point to the next. 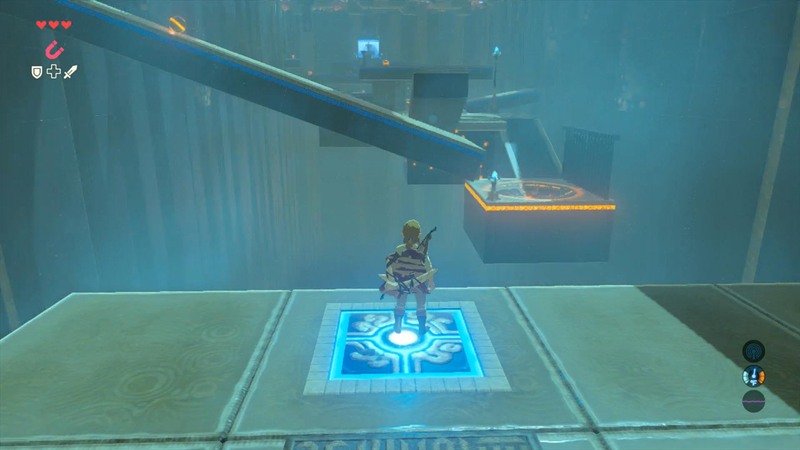 Additionally, Link can fast travel by teleporting to discovered shrines, as well as Towers (which unlock more pieces of the map when successfully ascended). So if you need to get to the other side of Hyrule in a hurry, you can simply bring up the map screen to teleport there, provided you’ve discovered a means to do so. Unfortunately, this all brings me to one of Breath of the Wild’s few disappointing elements. Along Link’s adventures, Link can find wild horses, which can be tamed and registered to stables for later use. As you might expect, horses can move faster on foot than Link, but they might be stopped in their tracks by a large rock or tree, whereas Link can simply climb over it. It makes sense, certainly. But because Link is already a more versatile traveller, I rarely went through the trouble of taming horses, even if they are faster on foot. It’s ultimately a small quibble, but I do wish I had more incentive to claim a new steed. Another highlight of the game are its more traditional story dungeons, which are only traditional in the sense that they are part of the main story, involve puzzles and enemies, and end with a boss. Otherwise, they greatly deviate from the series’ norm. The dungeons are wonderfully creative, and come in the form of giant, animal-like constructs that would make the Power Rangers jealous. You usually have to go through a mini-adventure just getting to the dungeons through one of the lands of Hyrule’s different races (Gorons, Zoras, Rito and Gerudo), then you have a miniature showdown with the dungeon itself before making your way inside. Once inside, you’ll notice that the dungeons are as open-ended as anything else in the game, as they each contain five terminals which must be activated, but can be activated in whatever order the player chooses. The best aspect of the dungeons is that, rather than a straightforward layout, the player can actually manipulate them from the inside. Rearranging the positioning of the dungeons and changing the perspective of their puzzles is a beautifully realized bit of creativity, and helps elevate the dungeon design as some of the finest in the series, despite their relative short length. If there’s any complaint to be had with the dungeons (and I’m grasping at straws here), it’s that – despite the wonderfully varied locations they are found in and the creativity of their level design – the insides of the dungeons are all aesthetically identical, and their bosses also share similar appearances with each other. Though that’s a non-issue in the long run, as the art direction and graphics, as a whole, are quite stunning. 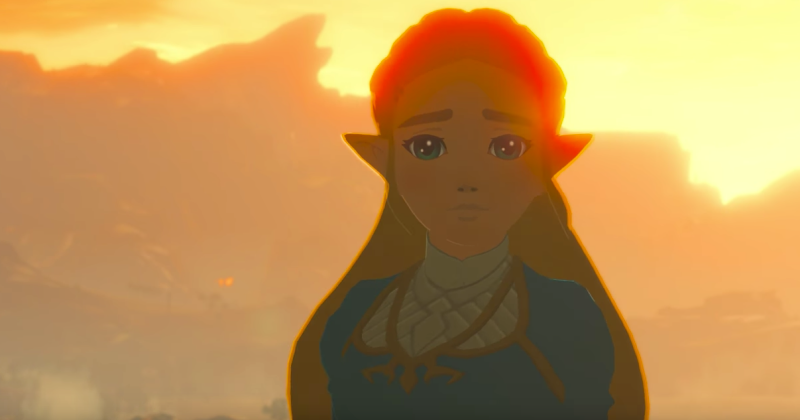 Aside from the Wii U re-releases of Wind Waker and Twilight Princess, this is the first true Zelda game presented in HD, and it looks absolutely beautiful. The environments are relatively realistic in appearance, and the game is so detailed that you can even see the differences in weather between different lands in the distance. The characters are cel-shaded a la Wind Waker or Skyward Sword, which adds to the game’s visual charms, and serves as a unique contrast with the environments. There even seems to be something of a Studio Ghibli inspiration emanating from the art direction. Ancient robots (called Guardians) are strangely reminiscent of those found in Castle in the Sky, while many of the environments might remind one of Princess Mononoke. Even the walking dungeons may bring Howl’s Moving Castle to mind. Breath of the Wild feels as much like a Studio Ghibli game as Ni no Kuni, and it only adds to the game’s appeal. Breath of the Wild is equally pleasing to the ears, with a beautifully minimalistic soundtrack that also seems evocative of the soundtracks to Studio Ghibli films. 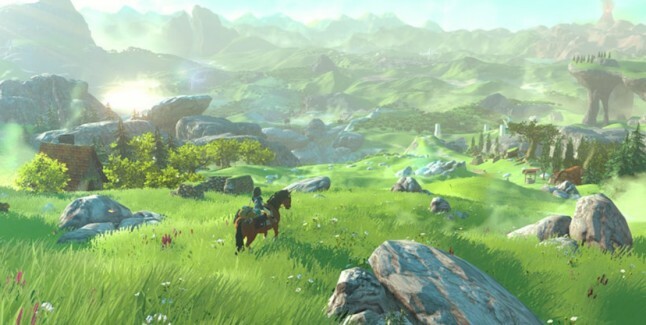 I’ve seen a number of comments disregarding the soundtrack as not sounding “Zelda enough,” but I find it to be a perfect fit for the nature of the game, with its gentle piano melodies and ambient tunes bringing the game world to life. Similarly, the game features some exquisite sound effects. The different armors and weapons, as well as Link’s interactions with different environments, all have their own sounds, which helps add to the atmosphere and life of the world in a way not dissimilar to Dark Souls. Perhaps more notable is that Breath of the Wild is the first Zelda game to feature voice acting during its major cutscenes. Though Link is his usual, silent self and Ganon’s status as an evil substance means that two pieces of the franchise’s trifecta remain voiceless, Zelda, along with various other characters, have speaking roles. The voice acting may not go down as some of the best in gaming, but it’s solid and works when it needs to. The Legend of Zelda: Breath of the Wild fine tunes the gameplay and combat first introduced in Ocarina of Time, and similarly perfects the explorative elements of Wind Waker. In the process, it also throws in a little bit of Skyrim, Dark Souls, Portal, Uncharted, Shadow of the Colossus and Studio Ghibli. The end result creates an exhilarating and unforgettable adventure that allows players to tackle it however they choose (I put more than 30 hours into it before I attempted the first story dungeon). Its execution is so well done that Breath of the Wild should rank along the likes of Super Mario World, A Link to the Past and the Super Mario Galaxy titles as one of Nintendo’s finest achievements. Despite all of its inspirations, Breath of the Wild is still very much the Zelda experience we all know and love. In fact, it may just be the best of the legendary lot. Unlike movies, video game sequels are usually expected to be better than their predecessors, though third entries can still see some mixed results even in games. This is an area where Nintendo differentiates from other developers. While many developers see their franchises meet high points with their second entries (such as Capcom with Street Fighter 2 and Mega Man 2), Nintendo’s second installments are often seen as the black sheep of their franchises, while their third entries break new ground. Super Mario Bros. was a revolution, while both the Japanese and English versions of Super Mario Bros. 2 were relatively less well-received (with the Japanese game being extremely difficult, and the American game being wildly different from the original). Then Super Mario Bros. 3 served as the benchmark for 8-bit gaming. This also occurred with the 3D Mario titles, with Super Mario 64 once again serving as a gaming revolution, its follow-up Super Mario Sunshine receiving a lukewarm reception, then Super Mario Galaxy becoming one of the most acclaimed video games of all time. The same thing even happened with the Metroid series, with the NES original kicking things off, the Gameboy sequel being largely forgotten, and Super Metroid giving the series a whole new level of acclaim. Simply put, Nintendo’ experimentations with the initial sequels to their franchises often have mixed results, and this was as true as ever with The Legend of Zelda. 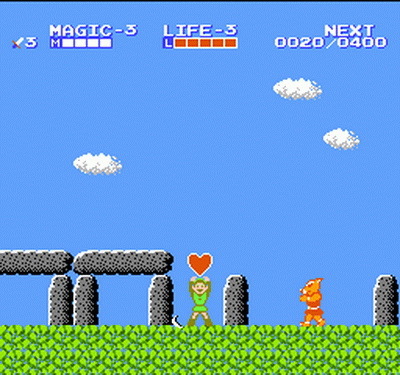 The second-ever Zelda game, Zelda 2: The Adventures of Link, is often seen as the black sheep of the series, due to its different gameplay from the rest of the series. While some of its criticisms are fair, Zelda 2’s status as a black sheep doesn’t necessarily mean it’s bad. 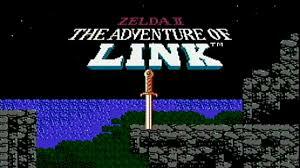 Zelda 2 works like a combination of a 2D sidescroller and an RPG. It’s actually an interesting combination, and in some ways ahead of its time (RPG elements find their way into many different genres these days). Link travels across an overworld map and can gain experience points to level up, like in an RPG. 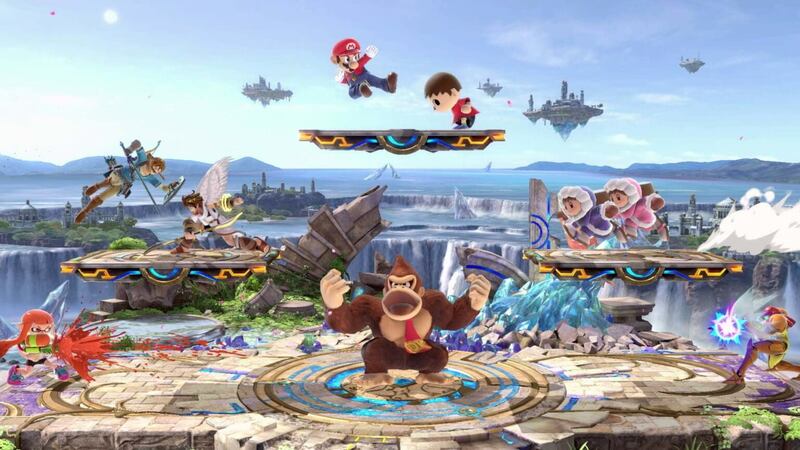 But the individual stages are played like a sidescroller, with Link being able to jump and strike enemies with his sword, as well as cast spells once they are obtained. Gameplay-wise, it’s a solid experience, though it’s easy to see how today’s Zelda fans might feel a little alienated by its different structure. But it was only the second entry in the long-running series, so with that context it makes a bit more sense why Nintendo would experiment a little, it’s not like the series had long-standing traditions by this point. Again, Link is a fun character to control here, with all his actions working fluidly with the button presses, and leveling up to increase your attack power, hit points and magic is a feature I kind of wish the series would return to. The only real complaint to be had with Link himself is that his sword is a bit on the short side, meaning you have to be pretty close to strike enemies. The overwolrd is nothing special, but it works for getting to each dungeon or town. But things can get a little harry with the frequent appearances of enemies on the world map. When these enemies touch you, you are taken to a mini-stage where you can face off with these enemies to gain experience points. The fact that you actually see the enemies on the overworld means that these encounters aren’t anywhere near as annoying as the random battles of Final Fantasy, but the frequency of their spawns – couple with the fact that they’re hard to outrun – makes them a bit of a nuisance if you just want to get to the next area. Another problem arrises in the forms of never-ending waves of particular enemies (such as Moblins) who show up during some of these encounters. 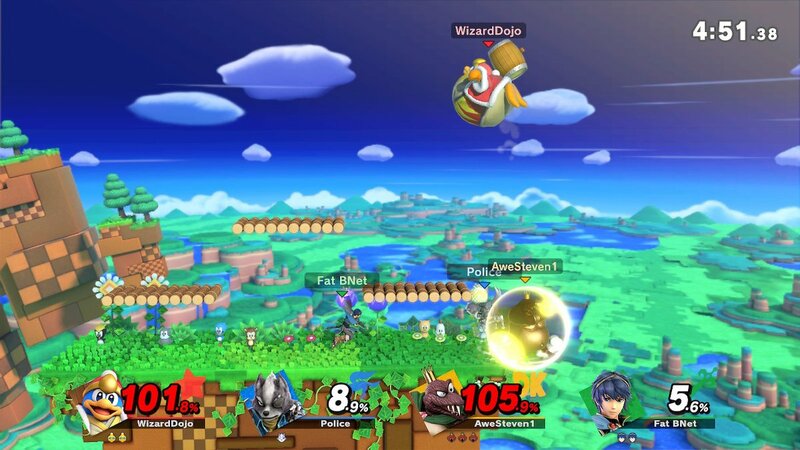 The constantly spawning enemies take away experience points if they come into contact with Link, nor do they give Link any experience points for defeating them, making them feel like a cruel addition to the game. Still, the levels themselves are pretty fun, with a variety of enemies that require different strategies to defeat, and some challenging boss fights. Some may lament the lack of puzzles to be found, however, as the sidescrolling setup favors quick action over problem-solving. Though as fun as the action is, it must be said that the difficulty of the game picks up incredibly fast. It doesn’t take long for Link to find himself against waves of unrelenting enemies, or foes who do more damage to you than you do to them. If the difference in play style weren’t alienating to some players, then the difficulty might be what turns them away nonetheless. There’s nothing wrong with a good challenge, but Link’s Adventure cranks up the difficulty pretty early on, and doesn’t really let up. Perhaps the biggest drawback to the game, however,is how cryptic it can be. 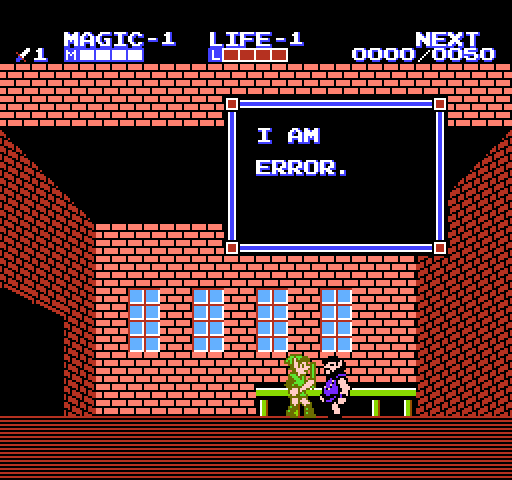 Admittedly, the original Zelda’s cryptic attributes haven’t aged well either, but it may have benefited Zelda 2 if it had learned from its predecessor’s mistakes. One infamously cryptic moment comes in the form of unlocking one of the dungeons with a magic spell. Normally, this particular spell simply changes enemies (turning more difficult foes into something easier), but there’s one instance where you stand in a certain corner of a certain stage, where if you use the spell there, it unlocks the dungeon. And it’s not like there’s anyone that informs you of this, either. In fact, the citizens of the towns don’t inform you of a whole lot. Most have them just have generic, flavorless dialogue that doesn’t help out, and those that do help out do so incredibly vaguely (“Only the hammer can break roadblocks” one might say, long before you even know where to get the hammer). It’s not quite to the levels of vagueness as Castlevania 2: Simon’s Quest, but it’s in that same field. Zelda 2: The Adventures of Link is still a fun game with colorful graphics and a memorable soundtrack, and its merging of platforming and RPG elements set the stage for many great games that would follow (such as Symphony of the Night). But its quickly increasing difficulty and overly cryptic elements may be off-putting to many players. Zelda 2: The Adventures of Link is a fun game, and an interesting piece in the series’ history, but some of its more dated elements may alienate players, that is if its difference in direction didn’t do so already. Zelda Wii U. All Alone at E3. I love The Legend of Zelda. I really do. It’s one of gaming’s best franchises, and certainly one of the most consistent. But Nintendo’s decision to dedicate the entirety of their E3 presence this year to the new Zelda for Wii U and the upcoming NX is a bit baffling, to say the least. When I first read the news that Zelda Wii U/NX would be the sole playable game on the show floor, I was a little disappointed, but I was under the impression that they would still have a video presentation showcasing other future games, so I wasn’t too bummed. But then I heard that Nintendo wasn’t even going to have a special edition of Nintendo Direct, as they’ve done the past three years, and instead just have a live stream solely dedicated to the new Zelda title, I was really disappointed, and more than a little confused. Look, I understand that Zelda is one of the most beloved series of all time, and holds a special place in the hearts of many gamers. But for one new entry to be the entire focus of Nintendo’s presence at one of the biggest gaming events of the year just isn’t enough. I can respect the delay for the release of the NX. Although missing out on the holiday season may be yet another bummer, but you can’t rush a product before its finished, and the delay means it won’t be launching in direct competition with PSVR and the newer edition PS4s and Xbox Ones that are supposed to hit by year’s end. But to not even make the NX a subject at E3 in any capacity is ridiculous. This is Nintendo’s new home console and, if rumors are true, their new handheld as well. Even if they don’t have it on the show floor, shouldn’t they want to use E3 as a means to get some early buzz for the platform? At the very least, couldn’t we at least get word on some games to expect on NX? They wouldn’t even have to go into great detail with them. They could just list off “a new 3D Mario,” “Pikmin 4,” and “Super Mario RPG 2″ (let me dream!) will be hitting NX in the future” and that would be enough to get some extra interest and investment going. I mean, sure, Mario coming to NX is an inevitability, but early confirmation would help nonetheless. Of course, the most disappointing aspect of this news isn’t even in regards to NX, but Wii U. The Wii U was Nintendo’s least financially successful home console, so I kind of get why it won’t be a focal point for E3 now that it’s entering its twilight (it was still a great system, damn it!). But to not give the people who own the console a last wave of release dates and reveals at E3 is more than a little bit of a sting. I’m not even saying they need to be major announcements, but surely there’s enough time left between now and the NX launch to give Wii U owners a game or two to look forward to. Frankly, I feel like Nintendo is putting all of their eggs in one basket in regards to their near future and Zelda Wii U/NX. The game definitely looks great, and its promise sounds quite interesting. It could wind up being the best Zelda ever by the time it’s released. But as it stands, Zelda Wii U/NX just enough for an E3 showing. Not when they’re leaving Wii U owners high and dry and keeping those who are excited for NX guessing. 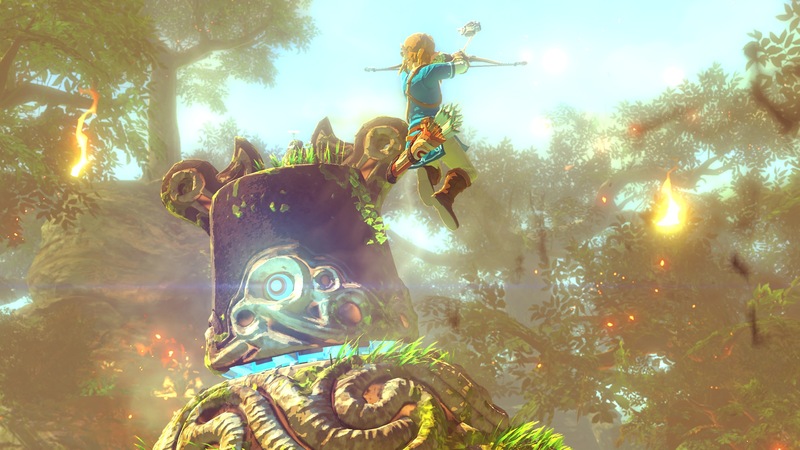 Even if Zelda’s showing at E3 is phenomenal, Nintendo’s won’t be. Author themancalledscottPosted on May 9, 2016 May 9, 2016 Categories Video Games, Wii UTags E3, E3 2016, Nintendo, Nintendo NX, The Legend of Zelda, Wii U, Zelda Wii U3 Comments on Zelda Wii U. All Alone at E3. Author themancalledscottPosted on April 27, 2016 Categories Video Games, Wii UTags Nintendo, Nintendo NX, The Legend of Zelda, Wii U, Zelda Wii U6 Comments on Zelda Wii U Delayed Again! Despite the rumors that Nintendo’s next home console, codenamed NX, is to be released by the end of this year, the Wii U still has some life left in it. Blessed little machine, keeping on keeping on with great games despite its disappointing sales numbers. Star Fox Zero is almost here, and Yooka-Laylee is a game that feels right at home on Nintendo’s console. But it’s the new, as-yet-unnamed Legend of Zelda title that has most gamers the most excited when it comes to these last days of the Wii U. Series producer Eiji Aonuma has promised this latest entry will bring some drastic changes to the series, but what that means for sure is still a mystery. I can’t say what’s in store for Zelda Wii U, but I can say some of the things I’d like to see out of it. As much as I love the Zelda series, there are some conventions that could do with some change.